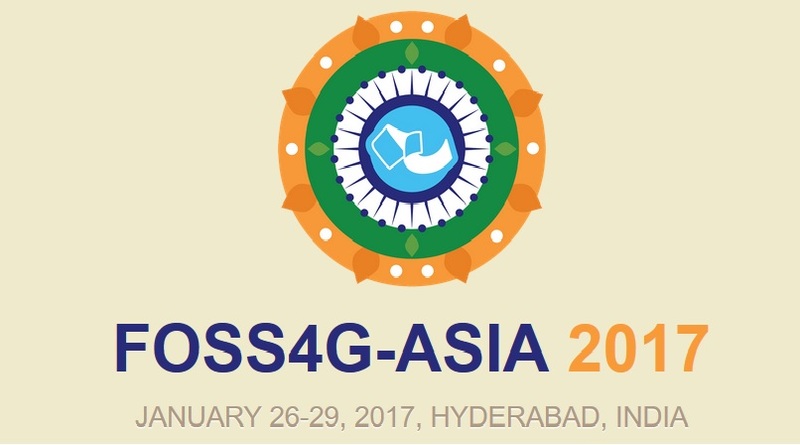 OSGeo-India is glad to announce the second edition of FOSS4G-Asia organized on 26th-29th January, 2017 at IIIT-Hyderabad, India. The FOSS4G conference series are designed to foster the development and promote the widespread use of open source geospatial technologies.Thanks to our Geo4All colleagues at IIIT-Hyderabad for hosting the event. Students can apply for registration waiver.Submit an Abstract by 25th October . There will be very informative workshop on hands on training which will be announced soon. It is also good to see the event is close to Geospatial World Forum http://geospatialworldforum.org/ that is taking place in 22-25 January, 2017 at Hyderabad, India, so international speakers can aim to plan both events. Survey of India will be celebrating its 250th anniversary in 2017, so it is good timing.